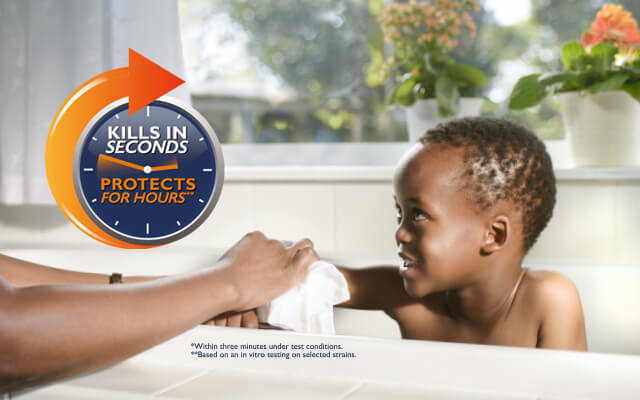 Savlon, South Africa’s No.1 Antiseptic Liquid1 is formulated to kill over 99.9% of germs* on skin. Now get a 500ml bottle at no extra cost when you buy a 500ml bottle. Look out for our banded value-added pack in all participating stores nationwide. Go in store now and Love the Feeling of extra value. *Savlon Antiseptic Liquid - within 3 minutes under test conditions. *Savlon Hygiene Soap - under test conditions. Ref 1: in volume Nielsen Dec 2015. 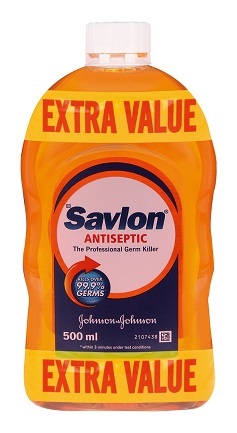 S0 Savlon Antiseptic Liquid. Each 100 ml contains 3,0 g Cetrimide and 0,3 g Chlorhexidine. Reg No. G1393 (Act 101/1965). For full prescribing information, refer to the package insert approved by the Medicines Control Council.